(Rhythm Bomb) 12 Tracks - Ecopack - Sara Lee And Her Band's Music Is An Explosive Mix Of Rhythm 'n' Blues, Mesmerising Vocals, Roaring Saxophone And That Swing! 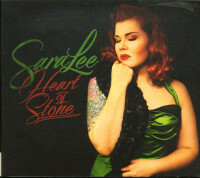 Tattooed Finnish Chanteuse Saralee Has A Unique Ability To Transform From A Roaring Lioness To A Soul Thrilling And Seductive Torchy Whisperer When The Song Demands It. With Their Impeccable Sense Of Style, Elaborated Guitar Solos, Tight Rhythm Section And Fierce Yet Playful Original Songs They Form A New And Unique Grip To Roots Music! 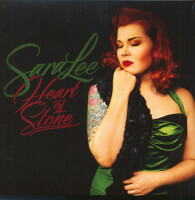 Customer evaluation for "Heart Of Stone (CD)"